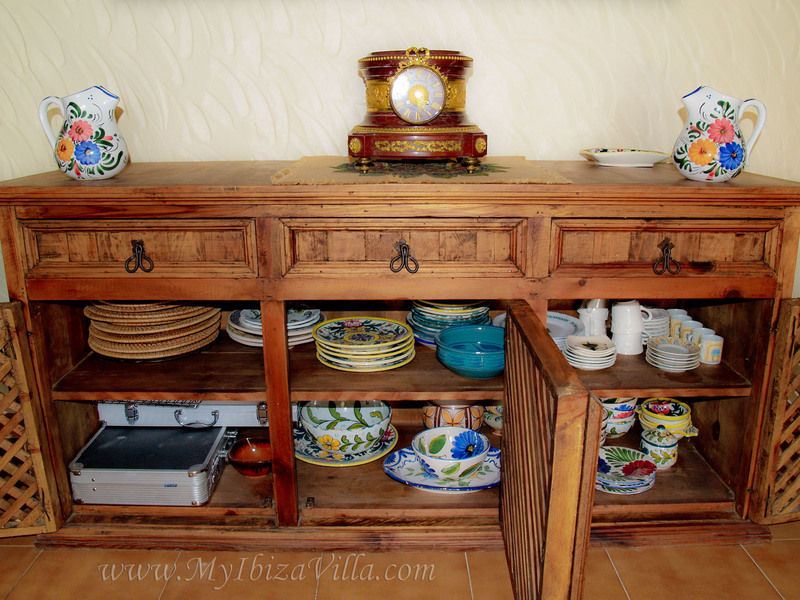 Kitchen of the villa in Ibiza - self catering accommodation in Ibiza Spain. 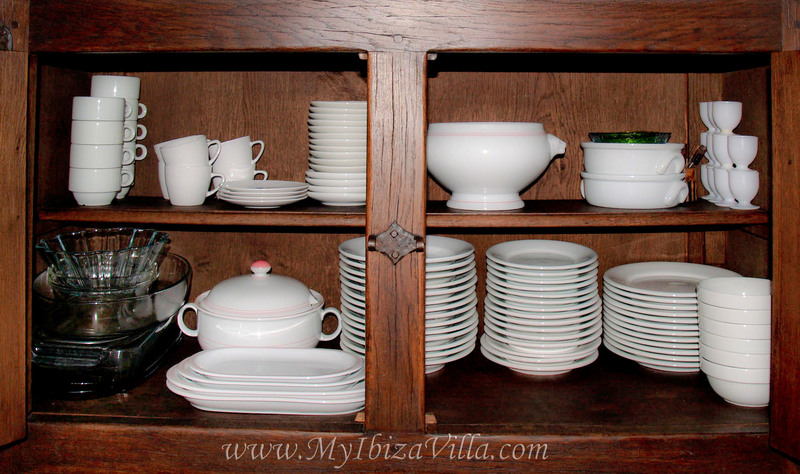 Fully integrated kitchen of your villa in Ibiza. SIEMENS QuantumSpeed oven, Halogen light used in combination with intensive heat, hot air, quartz grill and microwave combination settings. Saves up to 72% on conventional cooking times. New gas hob with 5 cooking points of which one is for a wok. 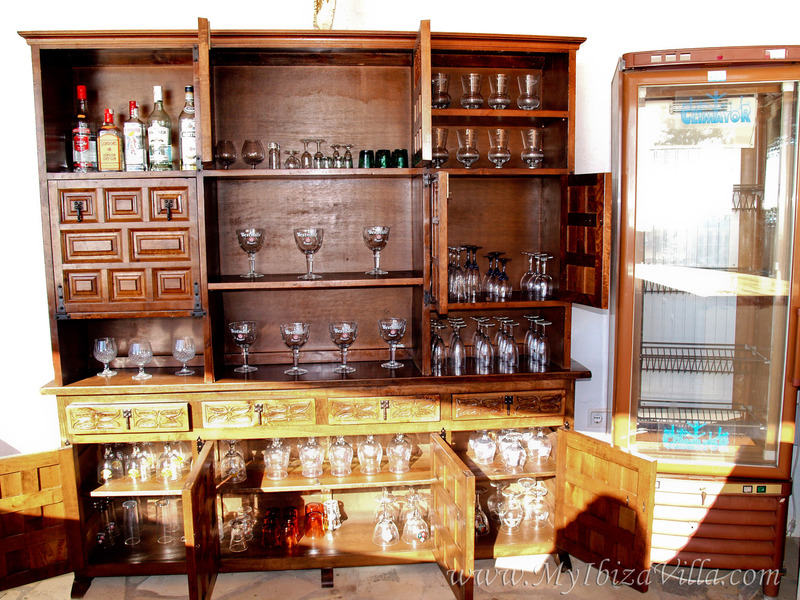 Great variety in glasses all stored behind the bar of the large terrace. Many cooking herbs, salt, oriental herbs/sauces in the stock cupboard. Also dishwasher and washing machine. Normal white dinner-set for every day use. 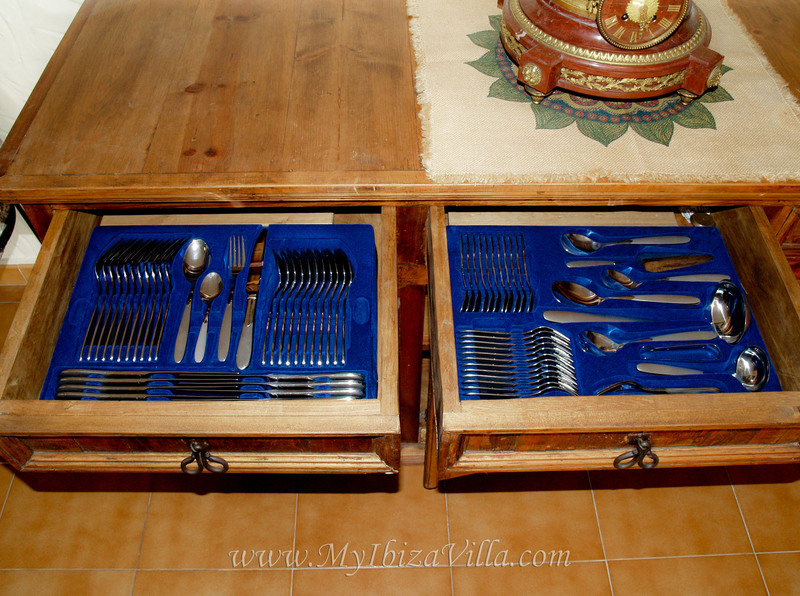 Old Spanish dinner-set, hand painted and complete barbecue set + steak cutlery (in the metal cases). 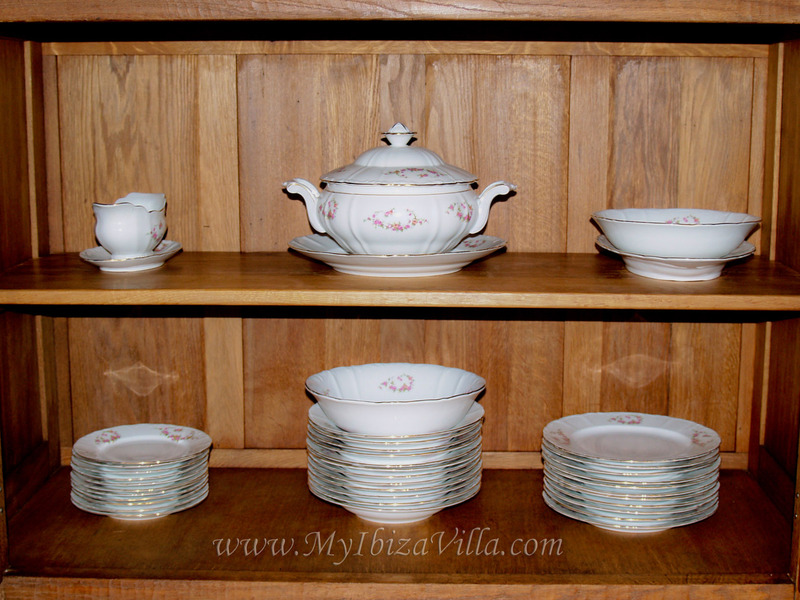 Porcelain dinner-set for special occasions. Great variety in glasses all behind the bar of the large terrace. Great variety of beer glasses, cocktail glasses, wine and champagne glasses. 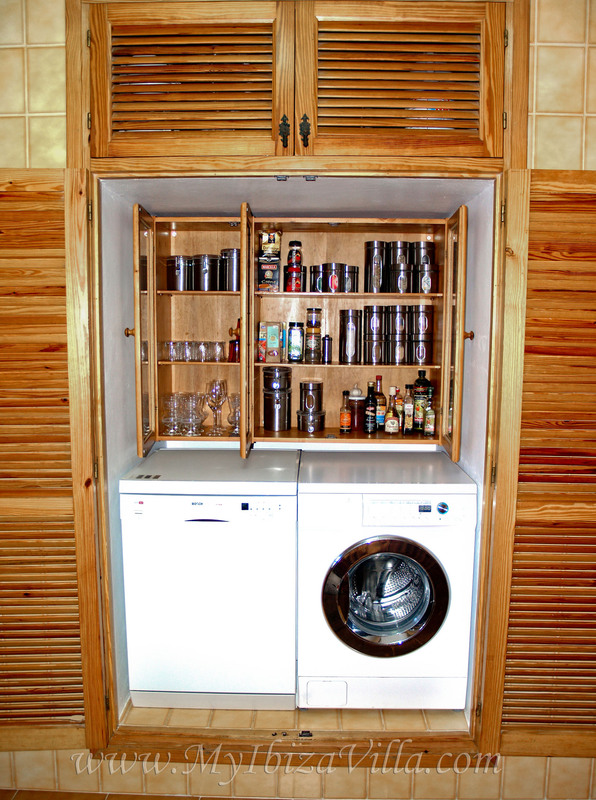 Are all stored in the cupboard behind the bar of the large terrace. 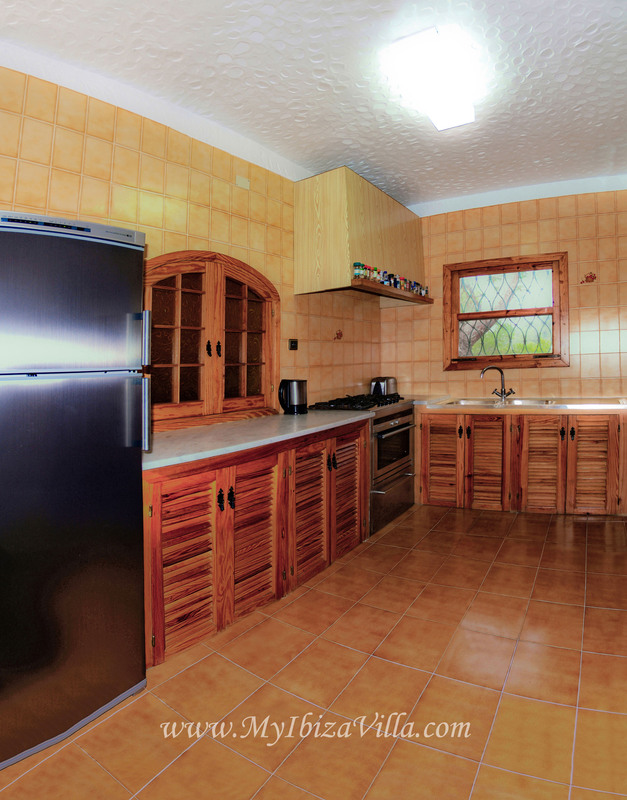 Your holiday accommodation has 3 double bedrooms and 3 bathrooms. 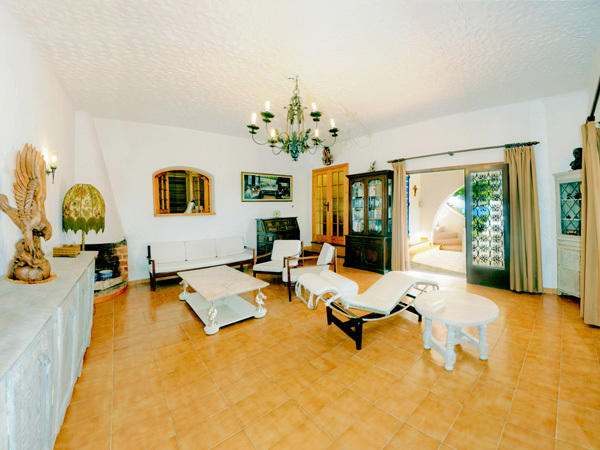 This page concerns just the privately owned villa in Ibiza"Wu Wei".